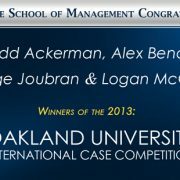 Established in fall of 2015, by Phil and Jocelyn Hagerman, The Hagerman Center for Entrepreneurship and Innovation (HCEI) is the heart of entrepreneurship within the School of Management and on the University of Michigan –Flint campus. The Center offers students opportunities to enrich their education with experiences that take them beyond the classroom. The Center activities will facilitate entrepreneurial and innovative skills to help graduates thrive and be successful. The Hagerman Scholars are the face of entrepreneurship and innovation for the University and community. The program is a competitive student scholarship based on the student’s interest in entrepreneurship and innovation as well as their demonstrated ability to be accomplished academically. Students awarded this distinction will be expected to assist with Center activities, such as the Business Plan Competition and the High School Entrepreneurship Institute. Hagerman Scholars are expected to be involved with the Student Entrepreneurs Society and the Innovation Incubator. Hagerman Scholars will also serve as ambassadors for the Center through its various activities and outreach efforts. The Hagerman Scholars will gain valuable experience working with Center related projects and with faculty who are teaching and conducting research in entrepreneurship and innovation. The Center will offer opportunities for the Hagerman Scholars to meet with community business leaders as they build a network of professional contacts. Applicants must be pursuing a degree within the School of Management, with preference given to those majoring or minoring in Entrepreneurship and Innovation Management. Applicants may be incoming freshman or continuing students. Applicants must include a statement describing their interest in entrepreneurship and how they will demonstrate a commitment to meeting the expectations associated with being a Hagerman Scholar. The School of Management Scholarship Committee will choose the recipients. 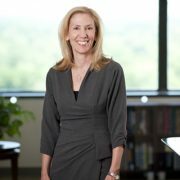 The School of Management congratulates alumna Michelle Goff, BBA ’83, the CFO and senior vice president of R.L. Polk & Co., for being awarded CFO of the Year – large private company by Crain’s Detroit Business. Goff received her BBA from UM-Flint in 1983 before continuing her education on the Ann Arbor campus. Since receiving her MBA in 1986, she has held a number of senior finance positions for large companies. In her role as CFO and senior vice president of R.L. 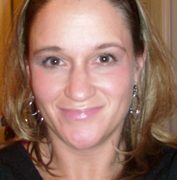 Polk & Co., Michelle Goff oversees more than 70 employees and a $19 million dollar budget. Her team is responsible for mapping out the future of the company’s financial operations, including risk-management, securities, real estate, insurance, taxes, accounting, assets, banking, credit, and treasury activities. The Crain’s Detroit Business decision to award Goff the CFO of the Year recognition stems largely from insights she provided Polk in 2009, and the leadership role she flourished in when actions were taken based on those same insights. In 2007, R.L. Polk & Co. invested an undisclosed sum to acquire a substantial stake in RoadToData, a Swiss automotive price and specifications data supplier with operations in 10 countries. Soon after the acquisition, Polk found itself dumping cash into RoadToData when the auto industry nearly collapsed during the economic recession. With profitability projections sliding into the distant future, Goff and other senior executives called for divestiture and a refocus on Polk’s core operations. 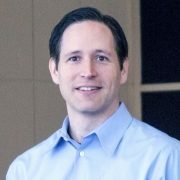 Although there were a variety of viewpoints amongst Polk leadership team on which direction was the best option for the future, the difficult decision was made, and Goff was called on to conduct the financial and legal aspects of the RoadToData closure in 2009. “It was a great decision in hindsight,” said Goff, as Polk’s profitability from core operations increased 31 percent between 2009 and 2013, and projects to perform even higher in 2014. R.L. Polk & Co. assembles comprehensive automotive sales and forecasting data. The company also provides vehicle recall services for auto manufacturers, presents annual awards and has a diversity marketing services arm. In 2012, Polk generated $401 million in revenue. 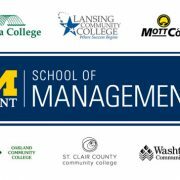 The University of Michigan-Flint School of Management (SOM) is an outstanding business school according to the education services company The Princeton Review. 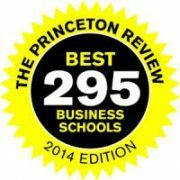 The Princeton Review’s survey asked 19,000 students at the 296 schools their opinions of their school’s academics, student body and campus life as well as about themselves and their career plans. The student surveys analyzed for this edition were conducted during the 2009-2012 academic years. (Chicago, Ill) The Entrepreneurs Society of the University of Michigan-Flint received special recognition and honors in two categories last week at the National CEO Conference. This premier event, in Chicago, featured three days of meetings, workshops and competitions (www.c-e-o.org) where the best universities compete in a number of categories. Out of 130 universities and more than 1400 students, representatives from University of Michigan-Flint placed 2nd in two categories: Best Fundraising Event, and Best Chapter Leadership. Gannon O’Reilly, Chapter President, was honored as one of the best CEO leaders in America. His efforts at leading the Entrepreneur’s Society for the 2011-2012 year featured such innovations as the Work/Live Space launch in June, in partnership with the Flint Habitat for Humanity. This new business initiative was the first of its kind and is leading the way in urban re-development initiatives. 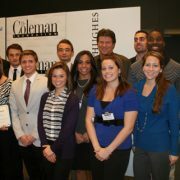 Another Entrepreneurs Society Member, Brooke Dziurman, led UM-Flint to the second place prize for the best fundraiser. This monumental effort resulted in $32,000 being raised and donated to a severely ill person battling brain cancer, all done in a 5 week period. 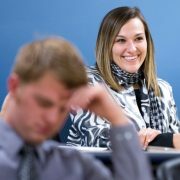 The Entrepreneurs Society was formed in 2007 as an academic club at the School of Management, University of Michigan-Flint. It presently has 109 members and a number of involved alumni and supporters in the greater Flint community.